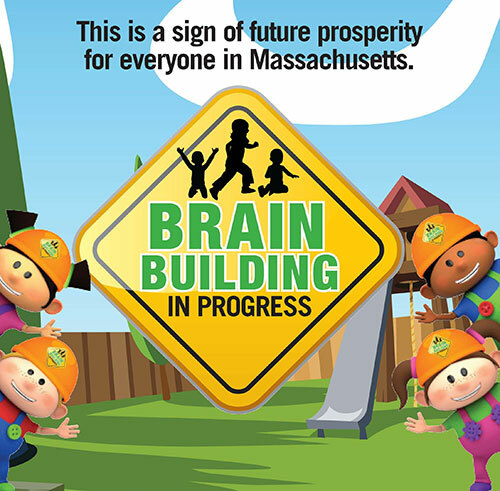 The Brain Building in Progress campaign is a public/private partnership of the Massachusetts Department of Early Education and Care, United Way of Massachusetts Bay and Merrimack Valley and a growing community of early education and child care providers, academic researchers, business leaders and individuals. The mission is to raise awareness of the critical importance of fostering the cognitive, social and emotional development of young children by emphasizing its future impact on economic development and prosperity for everyone in Massachusetts. By giving a strong start to our youngest citizens, we create a stronger, more prosperous future for all! Check out the United Way’s BBIP website!